W. Graham Garrett concentrates his practice in areas of financial transactions and real estate finance. Mr. Garrett focuses on the structuring, negotiation, and documentation of a variety of credit products, including broadly syndicated corporate loans, asset-based loans, cash flow loans, and trade and supply-chain finance. His clients include money-center and regional banks, foreign banks, investment funds, finance companies, and not-for-profits. 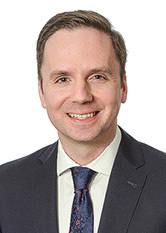 Prior to joining the firm, Mr. Garrett represented commercial and investment banks, non-bank financial institutions and corporate borrowers in connection with domestic and crossborder syndicated, direct and asset-backed financings, refinancings, sale/leasebacks, cross-collateralizations and restructurings. Winner of the Tulane Maritime Law Journal Summer 2016 Write-on Competition. Certificate in International and Comparative Law. Judicial Intern for the Honorable Fredericka H. Wicker, Fifth Circuit Court of Appeal, State of Louisiana. United States v. Fafalios: Has the Fifth Circuit Taken the Wind from the Sails of the U.S. Government's Enforcement of APPS? Tulane Maritime Law Journal, Volume 41 Number 2, Summer 2017. Cruising to a Conclusion: The Third District Court of Appeal of Florida Modifies Florida's Forum Non Conveniens Doctrine in Abeid-Saba v. Carnival Corp. Tulane Maritime Law Journal, Volume 41 Number 1, Winter 2016.